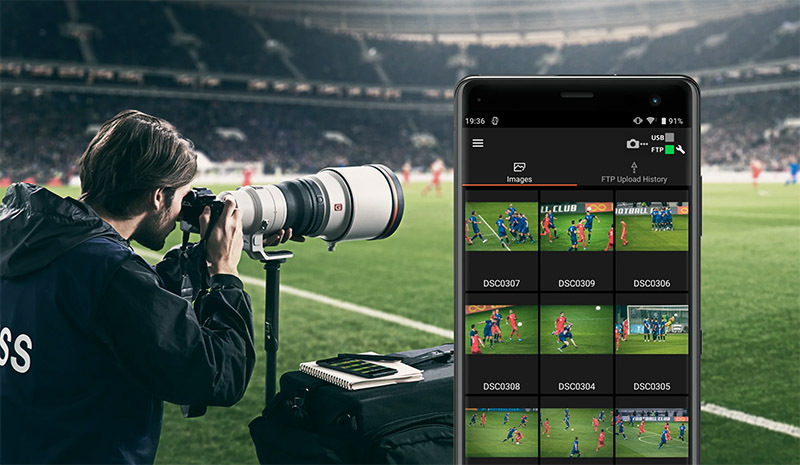 Sony has announced the release of new Imaging Edge Software for mobile plus several updates to the ‘Remote,’ ‘Viewer’ and ‘Edit’ desktop applications. The newly introduced mobile application named Imaging Edge Mobile(1) is the successor to Sony’s PlayMemories Mobile™ app and will offer instant transfer of images from camera to a connected mobile devices while shooting. Images can be transferred when utilizing the new “Auto background transfer to Smartphone” functionality(2), allowing users to easily share content direct from their phone to social media platforms. The mobile application also supports 4K movie transfer(3) and remote control functionality. For professional photographers, Sony will be releasing a new mobile application ‘Transfer & Tagging add-on’ (4) that will support instant delivery workflow by allowing users to transfer content to their mobile devices via the camera’s FTP background transfer functionality, without distraction from their shooting. It also enables voice input (6) for text captioning to help streamline communication and overall workflow between photographers and other team members. There is also an online function that will allow you to sync a Caption Glossary between multiple devices. The desktop version of Sony’s Imaging Edge application will be updated as well, with workflow support of time-lapse movie (7) creation, making it an ideal match for Sony’s newest interchangeable lens cameras with built-in interval recording. Other new features to maximize usability have been added as well, such as comparison display and collection functions, as well as a new and improved user interface. [iii] Compatible with ILCE-9 with software update Ver.5.0 or later, ILCE-7RM3, ILCE-7M3, ILCE-6400, DSC-RX10M4, DSC-RX100M6, DSC-RX100M5A.